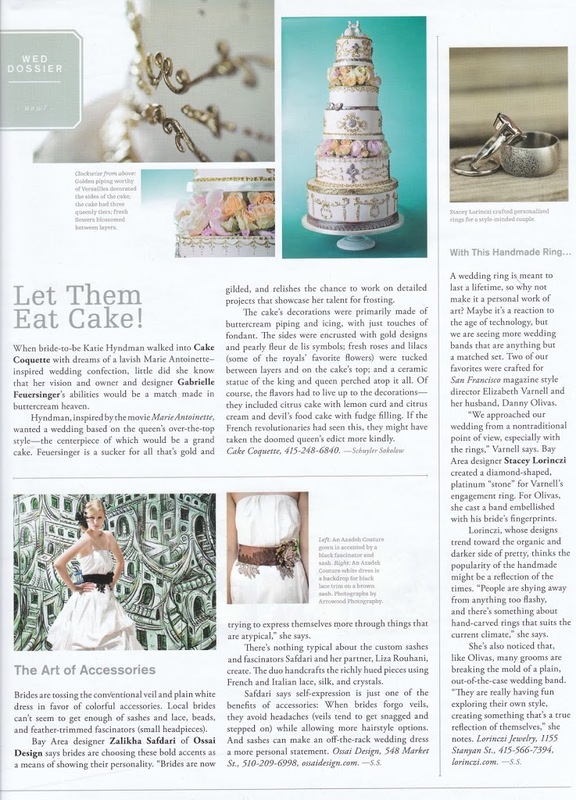 I've been waiting oh so patiently for San Francisco Brides to hit the stands because one of my favorite cakes of the year is featured on page 26. They did a little interview with me, which is always an honor, and in the article I mention how much I love the gold gilded Marie Antoinette style cakes. I have to thank the super talented Sabine Scherer who helped stage and photograph the cake and of course the editor, Mary Jo Bowling, of SF Brides who found my cake print worthy.